The late Earl of Leicester, a local aristocrat and wealthy local landowner, once described the North Norfolk division where I now live as follows: “the one constituency in England where, in 1964, it was so feudal that it had to be explained to the electors that the ballot was secret.” He was incorrect. It may be out of the way, but North Norfolk has a sophisticated electorate and a surprising history of radicalism. Not only did Labour win the seat in 1964, but that election produced the Constituency’s fourth Labour MP – the first being elected in the 1920s. The agricultural workers were well aware that the ballot was secret; they organised and they and their families went to vote in large numbers. This is now a historical footnote. 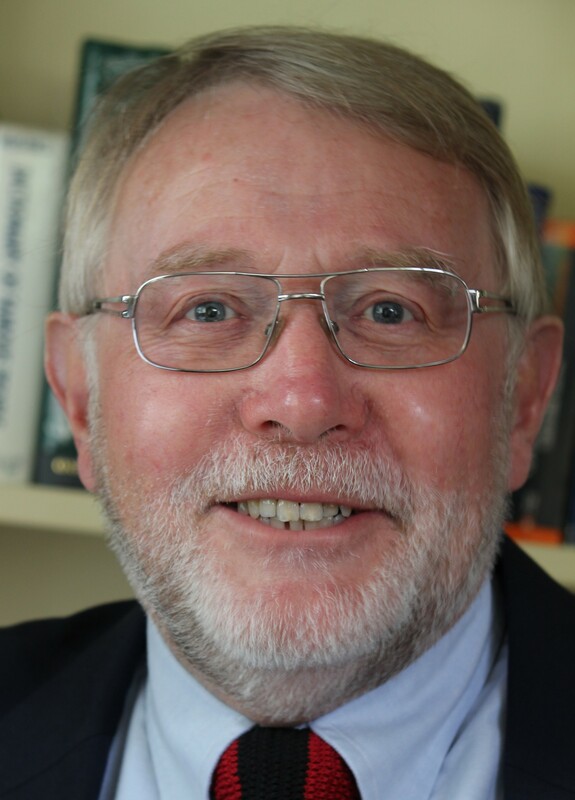 The Labour candidate who won in 1964 lost the seat to the Conservatives in 1970; in 2001 a Liberal Democrat captured it, and he continues to hold it through a combination of affability, good local organisation and an absence of strong opinions on anything political. Organised agricultural workers are no longer a political force in the area. This is an inevitable result of the move from labour intensive to capital-intensive production in the arable farms of Norfolk. The farm owned by my wife’s family, seven miles from our home, once employed eight full time workers and between three and five casual labourers. Mechanisation meant that there was insufficient work simply producing sugar beet and barley and the farm has become the basis of a most successful business offering bed and breakfast and holiday lets and now employs only a part-time cleaner. Given the changing composition of the population, with many retired people moving to this attractive coastal area, it is hard to see how Labour could ever again become a serious contender for the Parliamentary Seat. As I indicated in my previous blog, the class basis of politics has faded over the course of my political lifetime. The votes of progressively minded people, and there are many about even in North Norfolk, must be secured through other routes. I am increasingly convinced that the argument for economic and social justice must be deployed internationally; it will take us a long time to get there but I believe that the process has begun. Unfortunately such optimism means that we will have to wait in North Norfolk. On 9th February we had another District Council bye-election; this time in the Waterside Division, which abuts the Norfolk Broads. We had a fine candidate who lived nearby and was a former Councillor. He is a committed amateur historian of the local labour movement and reminds me much of the sort of elder statesman who took the time and had the patience to encourage me when I first joined the Party as a teenager. Sadly our candidate polled only 41 votes compared with 210, albeit on much higher poll, for the leading Labour candidate in the same area two years ago (a drop from 8.5% to 3.5% in Labour’s percentage). I have just received an e-mail in which our Constituency Secretary crassly copied in details of all current members: this indicated that in total there are some 420 full Labour Party members in North Norfolk. It seems that we are rapidly approaching the situation where we have more people signing up to vote in Labour’s leadership election than are prepared to vote Labour at the ballot-box. Earlier this year our rising local star, an able young businessman who became Mayor of Cromer in his 20s, resigned from the Party citing disaffection with the national leadership. The local Labour Party Chairman responded to this resignation by telling our newspaper that the local party was ‘going from strength to strength’. ‘Alternative facts’ are not the exclusive preserve of Donald Trump. We could indeed have a long wait for any recovery to reach darkest Norfolk, but I live in hope that it will happen eventually. We have just returned from a thoroughly enjoyable holiday in Vietnam; it is a country that is ambivalent about how to portray its own recent history. Most of the people I met there seemed to share similar aspirations to my neighbours in Norfolk. However there was a background of continuous propaganda on the success of the revolution and the 1975 victory over ‘American capitalist imperialism’. 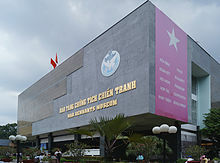 The latter was at its most strident in a room in the War Remnants Museum in Ho Chi Minh City: it contained multiple photographs of protest marches purporting to demonstrate the international working-class solidarity against the war. I marched against the war as a student in the late 1960s. It was a protest of the university-educated intellectuals not the working class, who, as I recall, were for the main part were indifferent. The reality is that the class basis of politics was always overstated and has faded irrevocably over the course of my political lifetime: this process had begun by the 1970s and has accelerated ever since. It may well be that, as a result, the Labour Party faces inevitable decline; this certainly seems to be the view expressed in opinion pieces in our more serious newspapers. The argument runs as follows: the Labour Party can only succeed as an alliance between middle-class progressives and working-class traditionalists. However, the June 2016 referendum hastened the road to extinction by showing, in sharp perspective, the collapse of the glue that held Labour together. A majority of both the forty Parliamentary Constituencies producing the biggest percentage of ‘remain’ votes and the forty Parliamentary Constituencies producing the biggest percentage of ‘leave’ votes are held by Labour. The former lie in the University cities, especially London; the latter lie in the traditional industrial heartlands. Skilled leadership, as demonstrated by the Scottish National Party, can hold a coalition together for a time (every Scottish Parliamentary Constituency voted remain) – but the division between those who have benefitted from globalization and those who feel threatened by such changes is real. It will be increasingly reflected in different behaviour at the ballot box. For the Labour Party, worse is to come. In my previous blog I indicated that I was taking a break and would resume only when I saw a ray of hope for left of centre politics in the UK. Given the paragraph above it may appear surprising that I have put fingers to keyboard. Ironically, the disastrous election of Donald Trump suggests that a rebuild of liberal social democracy is possible. Trump’s election has put into sharp focus the ugly face of ultra-nationalism and given rise to large and peaceful demonstrations populated by like-minded people throughout the world. Sophisticated modern technology allows rapid communication of ideas and these can rapidly feed through to changes in patterns of political activism and, ultimately, voting behaviour; both Donald Trump in the US and Jeremy Corbyn in the UK have demonstrated the potential of such movements. The very same weapon can be used against them. So, looking to the long-term future, I believe that the choice may not lie between ultra-nationalism and unstructured protest. Liberal social democracy can and eventually will be rebuilt as a global movement. Class politics is dead and the sooner we get rid of Marxist terminology the better, but the remaining shell of the Labour Party may be a constituent of this international process with an important role to play in our country. I may not live to see the day but am hopeful nonetheless. United we stand! – as a family? The joint secretary of my local North Norfolk Labour Party was amongst those present and, it is reported, offered the following observation: ‘He (Jeremy Corbyn) has started uniting the party in his speech today by holding out an olive branch and reminding us we are all part of the same family. There are disagreements but we are together above all else’. Well Sue, I take a different view; I’m not sure we have much in common. Indeed the reference to ‘part of the same family’ reminds me of an occasion when my mother was talking to one of my many Aunts about the Aunt’s 20 year-old daughter. My Aunt reported: “Susan and Jason (not their real names) are rowing with each other all the time. They’re going to have to get it sorted out because they’re getting engaged at Christmas”. They did indeed get engaged at Christmas, had a big wedding the following year, and divorced two years later. Where real differences exist it takes more than an engagement ring or bland calls for unity to resolve them. Our North Norfolk Labour Party is now firmly in the hands of the Corbyn supporters and it is down to them to deliver. They are not off to a good start – see my blog on the Glaven Valley bye-election http://wp.me/p5dTrr-cH – but in fairness they must be given time. It is evident that Jeremy Corbyn is unassailable as leader this side of a General Election and the first test here will be whether the Party advances or retreats in the County Council elections due in May 2017. I have been a candidate (in hopeless seats) the last two occasions these elections were contested but will not put my name forward this time round. I cannot, in all integrity, commend Corbyn’s 1980s style social protest movement to the electorate. Neither, for the time being, will I go to the local meetings. In 50 years of political activism I have yet to attend a meeting of the Labour Party where anyone ever changed his or her mind as a result of any discussion that took place there. I doubt that it will be any difference over the next year. At a national level I will be seeking to contribute to the revival of sensible centre-left politics, and reporting on progress. I will, of course, remain a party member in the hope that the Labour Party will be the seedbed of such a recovery. From now on my blogs will appear on a monthly, rather than a weekly, basis. I will try to look for something positive to say, which may not be easy – hence the reduction in output.